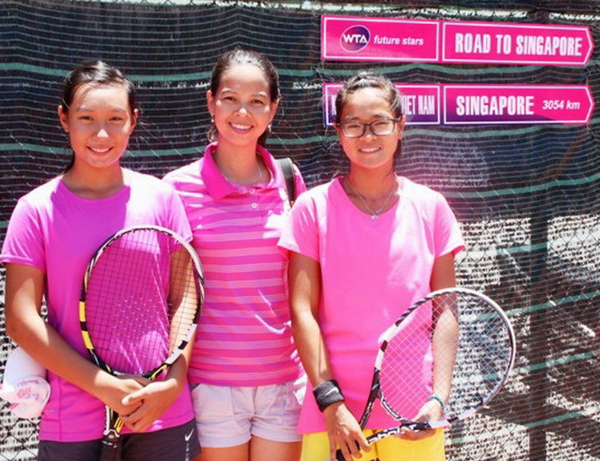 HA NOI (VNS) — Nguyen Thu Phuong and Tran Thuy Thanh Truc will be Viet Nam's representatives at the coming WTA Future Stars 2015 in Singapore. Phuong will compete in the U16 category, while Truc is in the U14 class. The tournament, which lures players from 18 countries and territories in the Asia-Pacific region, will be held from October 25 to November 1, the same time as the WTA Finals 2015, which is a year-end event for the world's best eight female athletes.